The firemizer REALLY works. Not only does the fire burn longer, there is little to clean up. I use firestarters NOT newspaper so all that's left is a fine ash. I always keep one in the fireplace and one in stock. A MUST have for those who use their fireplaces on a regular basis. We were given a firemizer last year for Christmas. We liked it so much, found out where our friend bought it and again are enjoying wood saving with our Firemizer. I was so impressed the first time I bought this that when the old one was ready to be replaced I purchased it again. I have an old 1830's coal parlor stove. With this in the bottom I can burn wood and it lasts twice as long. Great product. Does exactly what is advertised! Purchased a second one for my son in laws birthday. He loved the first one, and used it every day, all winter long. Since he has everything he needs, decided to just give him another one to have ready whenever he needs it!! Conserves embers and makes cleanup much easier. This is amazing. I wish we had discovered it early in the season. We would have saved money on wood. 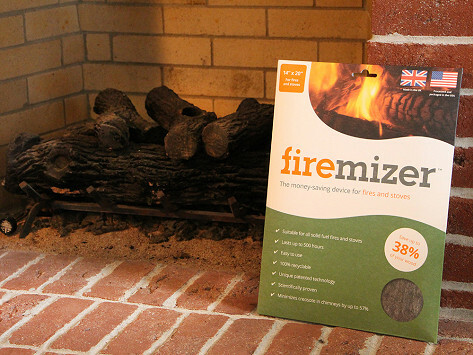 With the Firemizer, you don’t go through wood as fast and you definitely won’t have to clean out the fireplace as often. Everything put on top of it burns to a fine powder. This product will be a staple in this house. I bought this for our son who is moving to a new place that has a wood burning fireplace. 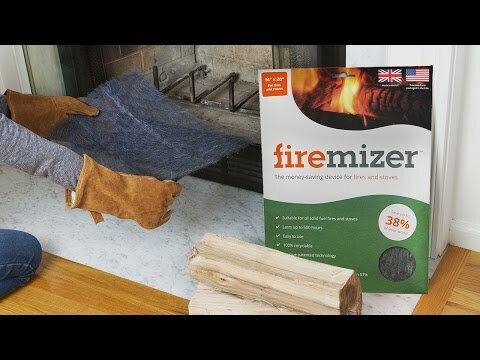 My husband and I have been using the Firemizer for at least five years at our home in our fireplace. It does what it says it does...keeps embers up where the wood is burning and our fires burn longer and more efficiently. It lasts a couple of seasons for us. Truly worth buying! If you heat your home with a wood burning stove or insert—or even if you just enjoy your fireplace or fire pit from time to time—a Firemizer should be on the bottom of it. Your wood will last up to 33% percent longer. Firemizer is a reusable mat made of stainless steel mesh. It spreads heat more evenly and burns even the smallest pieces of fuel down to ash that you just brush away between fires. The amount of fuel you use—and the amount of creosote in your chimney—are reduced, and burn time is increased by up to one-third.